You may not think about it, but the choice of rims is actually very important. You see, you can't just choose any type of rims for any type of car - they have to be just right. Many people make the mistake of believing that the role of the rim is purely aesthetical, but they would be wrong. Rims and tyres affect the way your vehicle drives. Good rims will be properly fitted and will make all the difference in the way your car performs on the street. First of all, you need to learn all about rims and what kind you need. Rims can be made of different materials and be created for different types of vehicles. The kind you choose depends on what wheels will fit your car. What wheels fit my car? As mentioned, not all wheels or rims will fit all types of cars. This depends heavily on the car brand, model, year, etc. In order for you to have an ideal driving experience and for your vehicle to perform as it should on the road, you need wheels that are appropriate. But what wheels will actually fit your car? That can be a tricky question because, in a way, they need to be somewhat personalised. Another thing you have to remember is that the rim size also depends on the style that is popular in the moment. In recent years, rims have been getting bigger and bigger, because that's the trend. "Small" or "big" becomes relative, because what was "big" a few years ago is now "small". Big is good, but there is such a thing as "too big", and that is when your rolling radius becomes larger than on standard rims. You may be wondering why the wheel size is so important and why you can't go overboard with rims that are too large. The rule of thumb, when you are picking out rims for your car, look for a style that will appear cohesive and tasteful (nothing too flashy), but also one that is going to be sensible. The rolling radius for your tyres and wheels should be in the same ballpark as the one your car was initially fitted to. What does this mean? Simply that if you calculate the circumference of your tyre - on the outside - it should be the same as it was when your car was fresh out of the factory. If you go too big, that is going to mess up your acceleration and cause your speedometer to under-read, which is very dangerous and can lead you to lose your licence. Luckily for drivers and car owners everywhere, nowadays, car rims are not at all difficult to find in all sizes, materials and finishes. Dozens of wheel manufacturers make steel wheels or alloy wheels, which are the most used. All you have to do is pick a style you like and be mindful of the car's original wheel fitment, in order to avoid running into trouble. Wheel manufacturers like Enzo, AEZ, or Alutec make some of the highest quality products in the industry, so it's worth taking a look at their selection and find the right style of wheel rims for you and your vehicle. A lot of drivers are tempted to disregard the overwhelming importance of such things like rims and tyres, thinking that all things related to engine are more pressing, for example. However, you have to think of the car as the complex mechanism it is and realise that every single piece matters as much as the next one. Without each other, the vehicle would not be able to drive. Rims and tyres are especially important because they are the only things that support your car and separate you from the road. Your heavy, expensive, high-performing car depends on a set of excellent tyres and equally good rims in order to be able to do its job properly, so do not overlook quality. Now, the problem may be that you don't know where you can find a set of very good rims for your vehicle. The first thing you have to do is determine your wheel size and then you can get down to business and start choosing appropriate rims and tyres for your car. For this, you need a trusted, high-quality provider, and mytyres.co.uk can be exactly what you need. 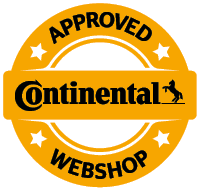 As the largest online tyre retailer in Europe, our store carries a variety of different brands, such as Dotz, Keskin, Dezent, Alcar, or ATS for affordable prices. No matter what car model you drive, you are bound to find your ideal rims and tyres on mytyres.co.uk.